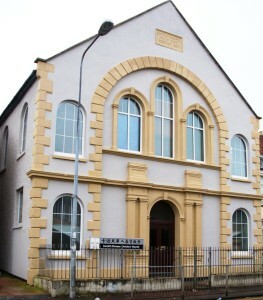 The objects of Cardiff Chinese Christian Church (CCCC) are to promote the advancement of the Christian Faith and to preach the Gospel of Jesus Christ as set forth in the Holy Scriptures, primarily but not exclusively amongst the Chinese in Cardiff and South Wales areas. Provide a spiritual home primarily, but not exclusively, for the Chinese in Cardiff and the South Wales area. To care for their spiritual welfare and to equip spiritually. Co-operate with Christian churches and societies whose doctrinal basis agrees with ours. To foster a Christian world view, to share in promoting the world-wide mission of Christ, and particularly to pray for the Chinese people world-wide. The unity of the Father, the Son and the Holy Spirit in the triune Godhead. The absolute sovereignty of God in creation, revelation, redemption and final judgment. The one Holy Universal Church which is the Body of Christ to which all true believers belong.